Recently, a message was posted on my Facebook page requesting more Mr Scratch related posts from the Legend himself. Well...I viewed the request as being more of an imperative, and an urgent one at that! You see, I quite like my Spleen, I rely on it for Spleen-related activities, and the idea of missing it (albeit not life threatening) would quite literally tear me apart. 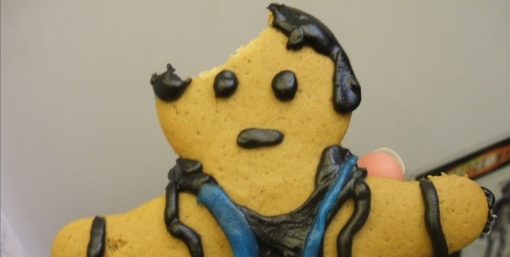 So I quickly did what any sane person would do in this situation...I baked Alan Wake themed gingerbread men. Also decorated the house in Christmas lights (haha, sucker). 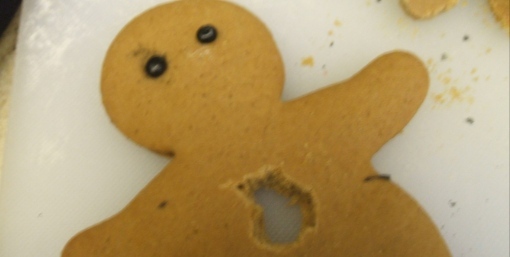 ...The gingerbread man on the Plain Flour is the source of my nightmares. When it did manage to cooperate, I rolled it out so it was just 4mm thick and used the gingerbread man cutter to made the shapes. To be honest, it was much more fun actually doing it than describing. So for the sake of a good story; the dough was made out of edible fire which was kept underground in a tomb for 20 years. The rolling pin was actually the DeLorean rolling over it. 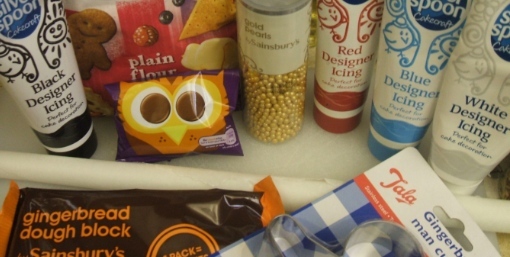 The flour was finely ground crystals. 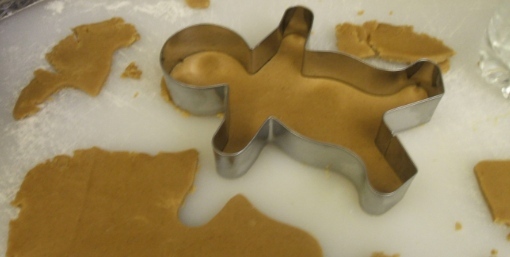 And the gingerbread man cutter was still a gingerbread man cutter...With dreams of grandeur. As the baking trays were quite small, I only managed to cook four at a time. 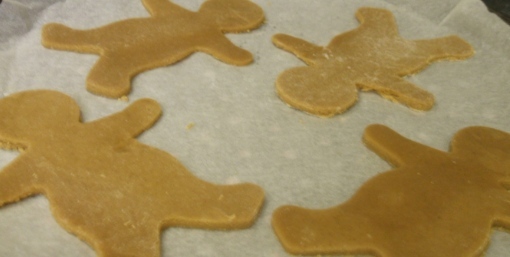 The instructions called for the gingerbread men to be baked for approximately 10 minutes which, for the first time ever for any cooking related project this month, was accurate! Although looking them on the tray, they looked like what happened when the writer of the Teletubbies found out that the show was cancelled and declared that "if I can't have them, no one can!" ...Well that's my childhood ruined. 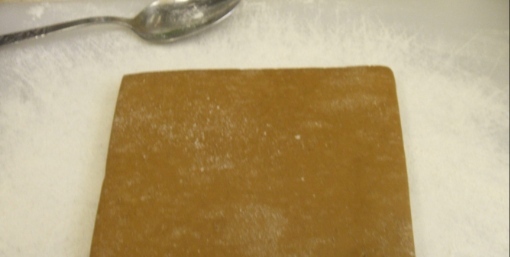 The two batches of gingerbread took around 20 minutes altogether to cook, with a further 10 minutes to cool down. After that came the fun part of decorating! 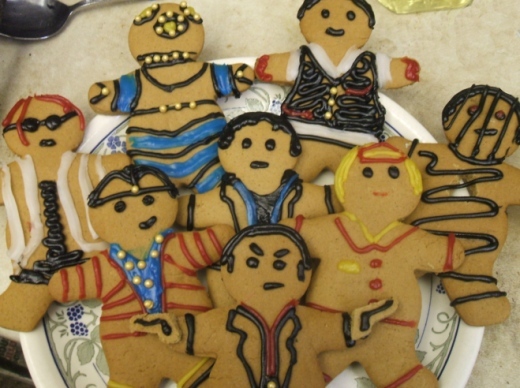 For this I had some chocolate buttons, an assortment of coloured icing and edible golden baubles. My favourites are definitely Mr Scratch, Thomas Zane, Barry Wheeler and Max Payne. 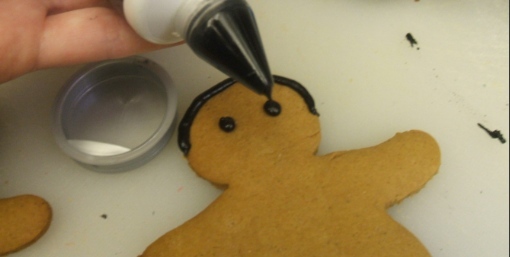 I love how grumpy (and slightly Vulcan) Payne looks, even in icing! Also I'm quite impressed that I didn't completely mess that one up as it was my first go at it. Thomas Zane was decorated in the edible gold baubles to represent the bolts on his suit. I was a little concerned how the final result would look like but I think it worked out quite well! As for Scratch, I'm still a little concerned how creepy he looks despite being a biscuit...I think it's the red icing for the blood and the smirk on his face. Barry; I had so much fun drawing his character! His clothes may have different patterns and various colours, but they were really simple to draw and turned out quite well!